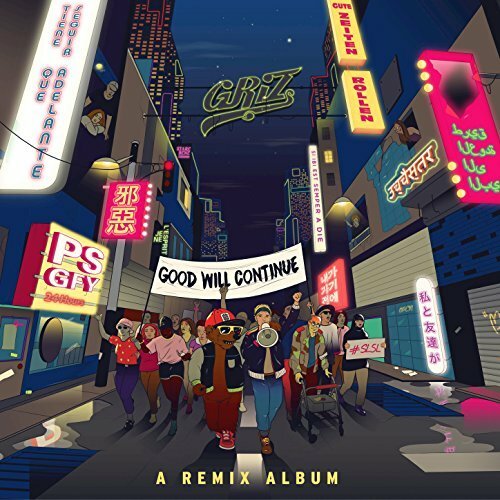 Last September, GRiZ released his fifth album “Good Will Prevail” from his own label All Good Records. Eleven months later, Grant Kwiecinski gives us a striking remix album titled “Good Will Continue”. Remix albums tend to be hit or miss for me, with some having too many versions and others having one or two great remixes and fillers for the rest. That’s not the case at all for the Detroit natives remix album. From start to finish, every remix is as diverse and unique as they come. The 13 track set includes remixes from Dirty Audio, Boogie T, Dusty Bits, Jenaux, Ephwurd, and Rowland Evans. There’s also versions from Opiuo, Tommy Trash, IHF, Tisoki, Barclay Crenshaw, AC Slater, and Birocratic. From bass house to funk and trap to future bass, it’s all pretty much covered here. GRiZ will also be on his fall Good Will Continue tour, with stops in Orange County, San Diego, San Francisco, and more. Check out his tour dates here!